There are competitors in any industry and industrial machinery is no exception. Companies in this space are constantly on the lookout for new technologies, like additive manufacturing, to give them the edge. This edge though, can translate to an investment risk. Like any risk, it is the return on investment that helps determine its worth. For additive manufacturing … that return is the ability to produce low-volume objects that require a high degree of customization. Numerous items, from more realistic prototypes to customized fixtures, are becoming staples in the today’s industrial landscape. It’s these reasons, along with complexity of shapes and functional design possibilities that would otherwise be a challenge to manufacture, that are driving more companies to seek out additive manufacturing. 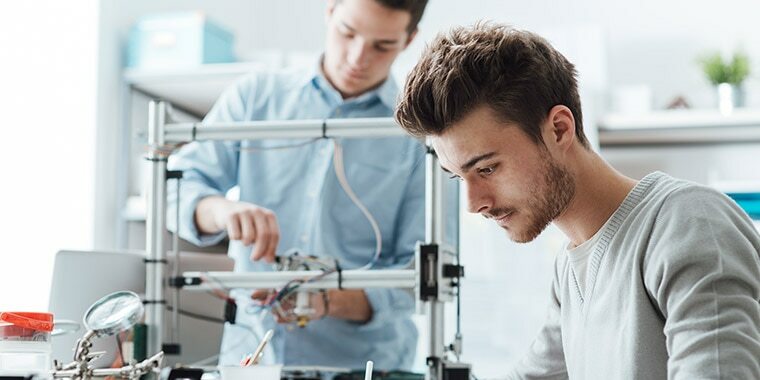 Manufacturers have two options when it comes attempting to adopt additive-manufacturing systems: outsourcing the work to a 3D print vendor, or purchasing their own in-house systems. Of course, it isn’t as simple as that. There are many reasons for going with one over the other. Among the considerations being existing production costs, materials, volume, skills of engineers and designers to name a few. Even knowing the answers to these questions, a company that is new to this space may be overwhelmed, and not know where to begin weighing different considerations. Here are some tips for entering the additive manufacturing arena. The Senvol database is a comprehensive online industrial-additive-manufacturing machines & materials database, which helps give guidance to parts that can be cost effectively replace by 3D-printed materials. In the expanding world of additive manufacturing, there are more and more companies that are dedicated to additive manufacturing, companies like Stratasys. They use high-end additive manufacturing together with traditional methods to manufacture products. 3. Get Training and Education. As a company looks to potentially enter the world of additive manufacturing, it is a mind shift, and getting training and education on this world and what it has to offer is a good thing. Finally, make the choice whether you want to outsource your additive process or make it in-house. What you want to create by additive and the cost of these machines could come into play, so research the options. To read the original article, including a more in depth look at the tips, go here. Andrew Wheeler writes about 3D technology from Richmond, Virginia.